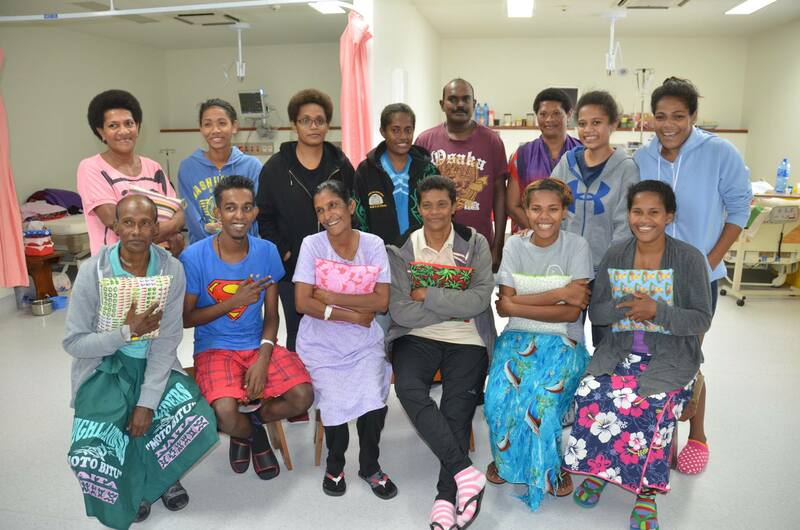 Walking onto the post op ward we are met with genuine smiles and a friendly chime of 14 voices saying ‘Bula’. The past week of organised chaos, hectic surgical schedules and making sure there are enough beds in ICU to keep operating, fitting 22 patients into 10 bed spaces so we canoperate on as many patients as possible has now been replaced by a slower calmer pace. The mood is somber as the patients all get out of bed to gather around us. This is the last time the post-operative team will visit. Wounds are healing, patients walking is increasing and spirits are soaring.The cardiac patients are known around the wards, as nurses from next door come to tell them they are making too much noise. This brings laughter and the response “our Doctor’s told us we have to be happy to have a healthy heart”. Most of the children have been discharged home. The six remaining can be seen running around playing with bubbles, no visible signs of surgery from only last week. The Mum’s dissolve into tears as they try to tell us what it means to them to see their children playing, the children almost unaware of what the fuss is about. Babieswho were described as ‘failing to thrive’ now eat with almost endless appetites. One child has been in hospital for more than three months now has plans to be discharged from hospital in just two days. Must you leave me, so lonely and foresaken? Every moment my heart for you is yearning. We can’t stop the tears from gently falling. 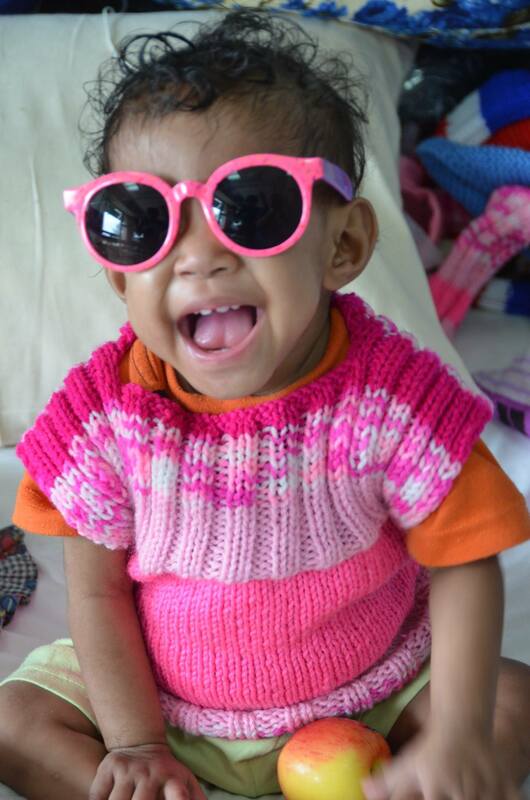 Every patient has a name, a face and a story and the OHI team have been woven into theirs. This week we have seen visitors not only helping their family member but anyone on the ward who needs a hand. The bond between them and the support they offer each other is palpable. 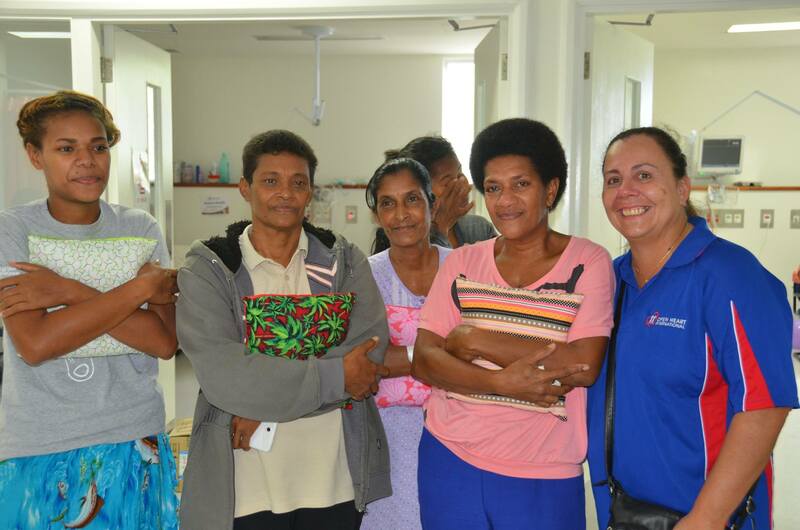 The Open Heart International (OHI) patients have become a tight knit community – almost family. 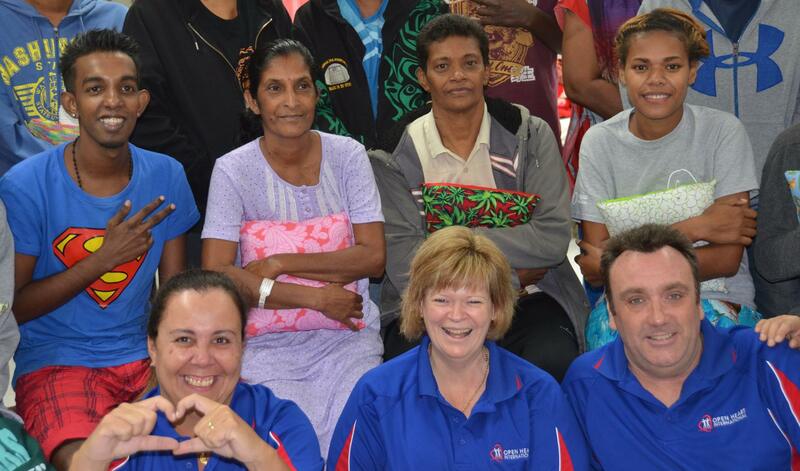 The CWMH staff welcomed us and worked with us sharing the common goal to mend Fijian hearts. 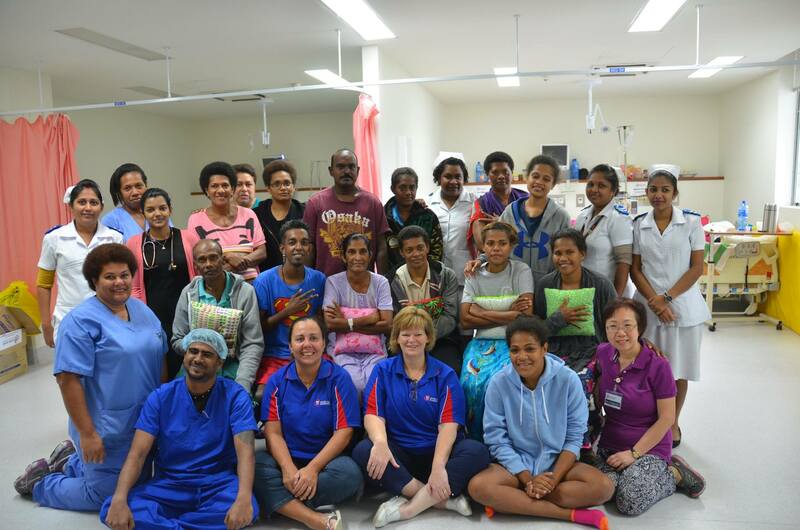 The OHI team worked tirelessly, sometimes through exhaustion to get the job done so we can boast the success of 37 patients operated on. The Bank of the South Pacific donated a vehicle for our use, especially for the Intensivists Vodafone ensured we all stayed connected, The Adventist Health and Hope Channel van was our main mode of transport and the Dorcas ladies kept us fed. We will see you all next year.